Having practised Hypnotherapy for over 8 years, I am well positioned to help you to make the changes that you want. Please simply call me to discuss your needs and I will be completely upfront about what you can expect. If it's something that I cannot help you with I will be very honest about it and see if I can help recommend someone better suited. However, if there is something you want to liberate yourself from or change or improve that you've identified resides in your mind, then please do call me (on 0208 9919805) because it's very likely I can be of service to you. I am continually adding more supportive information on the site and I hope you find it to be a great resource. Hypnotherapy is a wonderful way of making real changes in your habits, behaviours, feelings and responses because it gently yet effectively works with the way your mind works. With the way your mind stores the problem patterns and safely changes those patterns (patterns of thought and response) to bring about your wanted responses instead. You don't consciously choose to have an issue, it's something that is going on unconsciously and what's needed is to change those unconsciously held perceptions and responses. Hypnotherapy has been proven over time to be an effective and elegant method for doing just that. I use a thorough method of first understanding the processes that hold the issue in place and then tailoring the solution to the individual. So if you were to work with me I would first have a conversation with you on the phone to verify that I can help you and to take some information about the issue or area of improvement you want. Then after really listening to you, I will tailor a session or sessions to you in order that we get the best effect possible for you. To find out more please go to my website via the link on this page or call me on 0208 9919805. You can choose to come to me in my Ealing based office or I can come to you at a slightly increased fee for travel time and cost: I serve all areas of West London. Over the last 8 years I have worked with individuals to help them: alleviate anxiety and fear, get over phobias, stop smoking, lose weight, improve their confidence in all sorts of areas and situations, enhance their mental performance in sports and other areas, sleep better, feel more positive and reduce stress. I truly value and respect my clients and am completely committed to helping them achieve the results they want. I really hope to have the chance to speak to you and to be of service to you soon. Have as many or few sessions as wanted/ needed. Discounted to £65 if more than 5 sessions. Includes: 2 face to face sessions of 1.5 hours, preliminary phone conversation/s and preparations, phone/ email support between/after sessions and a guarantee of a further free session if need extra support later. Throw out the cold turkey... quit smoking the easier way! "I had been thinking about stopping smoking for years when a colleague mentioned they’d stopped with the help of hypnosis. After a few enquiries a friend recommended James and within 2 sessions with him I stopped. Just like that! 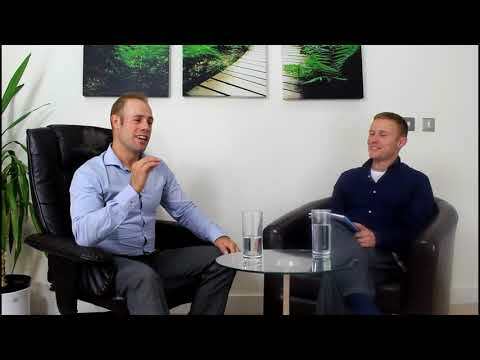 James is very supportive before, during and after the sessions and explains the process very well. I would recommend James to anyone wanting to quit smoking but needing some support. It was an all round great experience." "I’d been trying to quit for ages but life was seemingly being quite stressful and so it gave me loads of excuses to continue. However, a couple of months ago, I decided to give James a go – and to be honest I didn’t hold out much hope but to say I was amazed, or still am by the result, would be an understatement. After 1 session with James I stopped and not just stopped but I don’t even think about smoking let alone have any cravings. I feel so detached from it; it’s like all the thoughts and feelings around smoking have been erased from my mind. And despite various challenges cropping up I haven’t thought or had a desire to smoke. Nor have I either replaced smoking with anything else or put on weight. So, if you’ve been trying to stop smoking and haven’t managed it yet I highly recommend James." "I am thrilled to tell you that the hypnosis worked brilliantly. I had no problems on any of the lifts skiing and tested myself by doing new things." "Testing out the effects of this when next driving on this road segment I noticed my anxiety was almost non-existent! Instead I felt calm and alert with a sense that I could handle it and fear appropriate to the situation. I am now no longer tensed when I drive this specific stretch." "Until working with James I had a serious phobia of rats for as long as I can remember. I used to avoid going through the local parks and cycled way out the way of them for fear of seeing rats. I constantly felt uneasy and fearful in certain areas where there may be rats and it really bothered me. However I made a major breakthrough with James using a very comfortable process of techniques and hypnotherapy and it got me to the point where I could actually hold rats and play with them in a cage. I never would have expected to be able to do this and with no fear at all!! 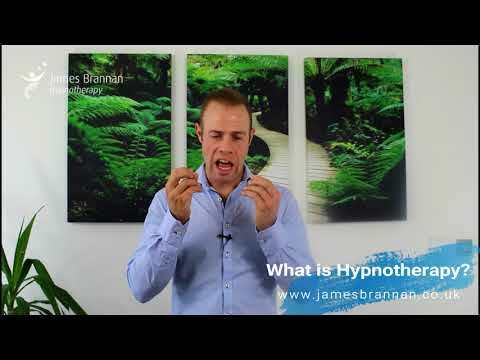 I highly recommend James to help you if you have a phobia or anxiety issues." "I have been pleasantly surprised at how my cravings for Soy lattes have subsided considerably in the past few weeks, to the point that I could now take it or leave it! It feels absolutely fine if I don’t have a latte whereas in the past I would get a craving and feel I had to drive and have one in that moment!" 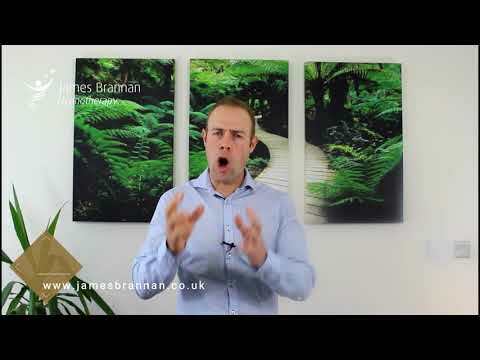 "My sessions with James are having a quiet but noticeable impact! I have started to lose weight but more importantly feel in control and not on a diet! "I had been suffering with an eating disorder for years, and finally decided to do something about it! After a few sessions of hypnotherapy with James I have noticed changes in my behaviour. This has been very rewarding and I feel like it has and is helping me move down a happier path!" "After three sessions with James I have experienced a massive shift in the way I feel about myself. Now I already feel more self belief inside and more self assured than I have for some time." "James has made a real difference to my son Benn’s well being and self esteem. He is a very patient and caring professional and I highly recommend him." "I have had a few sessions with James for confidence and we have applied a number of techniques to increase confidence. Some techniques have worked better for me than others but I can certainly say that the techniques have had a positive effect on me. Also we applied a technique for reducing stress and anxiety and this has an amazing effect on me." "James delivers results. I was as sceptical as the next person going into the sessions, however the process was entirely tuned to my personal requirements (in this case helping to boost confidence and build techniques to support high sporting performance) and provided me a range of simple, effective methods to use that absolutely worked." "James helped me considerably this year to deal with some very stressful times relating to various medical and surgical procedures. He helped me to deal with and overcome my fears in a professional and sympathetic way. The techniques he employed were very successful and I would highly recommend him as a hypnotherapist." Although these client comments are genuine and verifiable, results may vary depending on the individual. Mon-Fri 9-6pm and available for some evening and weekend times if needed. If I'm with a client please leave a phone message or email and I will contact you back asap. Many thanks.